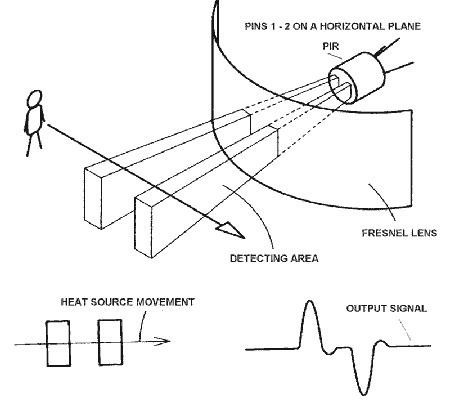 The PIR sensor itself has two slots in it, each slot is made of a special material that is sensitive to IR. The lens used here is not really doing much and so we see that the two slots can ‘see’ out past some distance (basically the sensitivity of the sensor). Most PIR modules have a 3-pin connection at the side or bottom. 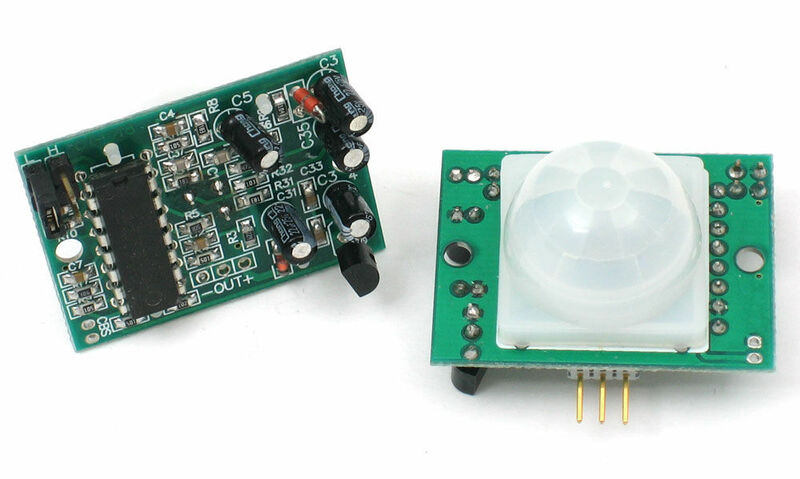 Power the PIR with 5V and connect ground to ground. Then connect the output to a digital pin. In this example we’ll use pin 7. To connect your PIR sensor to your arduino follow the instructions by the image above. 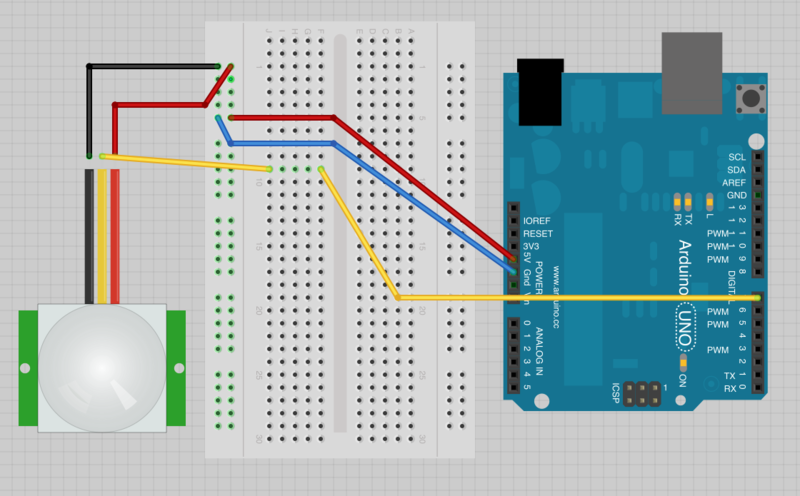 VCC Pin to +5V of Arduino and GND Pin to GND (Ground) of your Arduino Board. Then connect the signal pin to the digital 7 pin of Arduino. The code is very simple, and is basically just keeps track of whether the input to pin 7 is high or low. It also tracks the state of the pin, so that it prints out a message when motion has started and stopped.